:chrome: :zendesk: This is a Chrome Extension for Zendesk. Works in the Views pages. 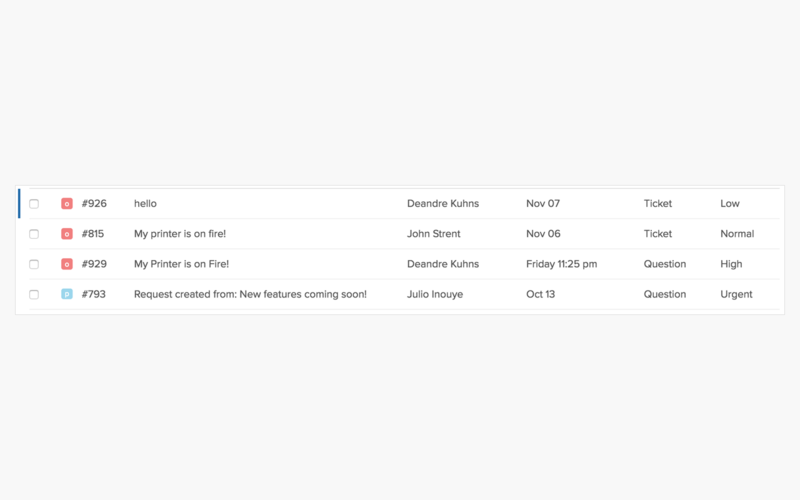 Identifies tickets that have a Priority. 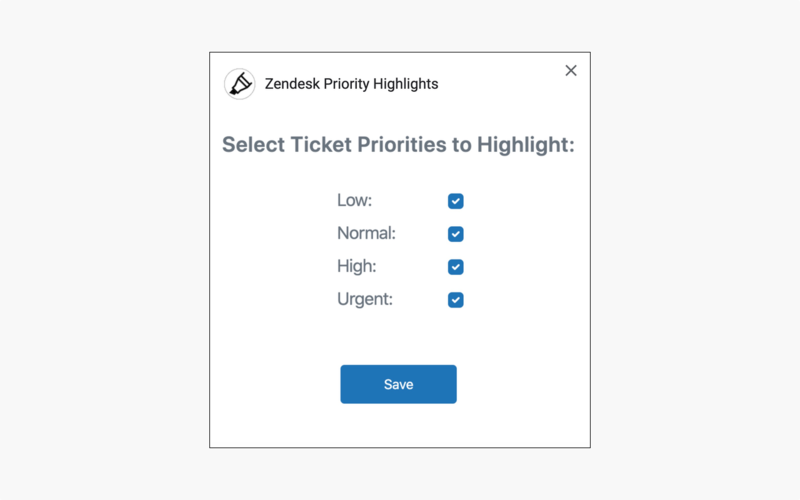 Highlights tickets with Urgent priority as red. Highlights tickets with High priority as yellow. Highlights tickets with Normal priority as green. Highlights tickets with Low priority as blue. User can choose what priorities to highlight in the options page. Version 1.0.3 - Published here. Colors for Normal and Low Priority added. 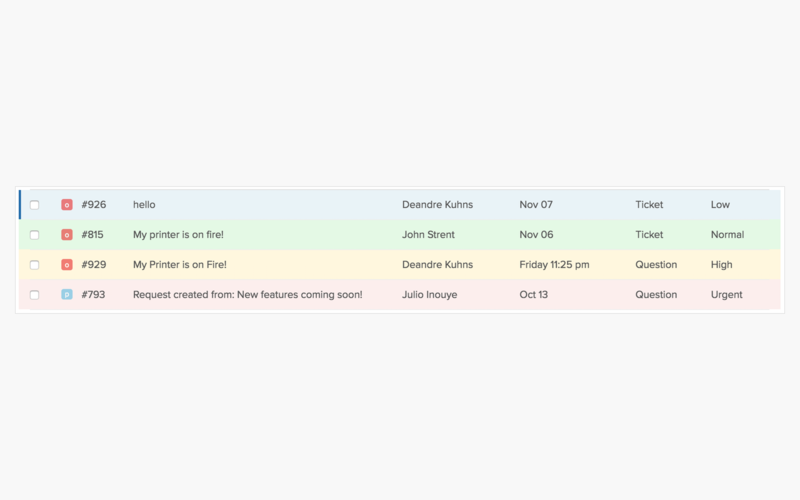 Color for High Priority added. Feature Request: Highlight fields other than "Priority". Translation needed for: nl, da, es, fr, de, he, ja, pl, pt, and zh. :exclamation: Found a bug? Please submit a report here, or email Support. :warning: Use of this software is subject to important terms and conditions as set forth in the License page.